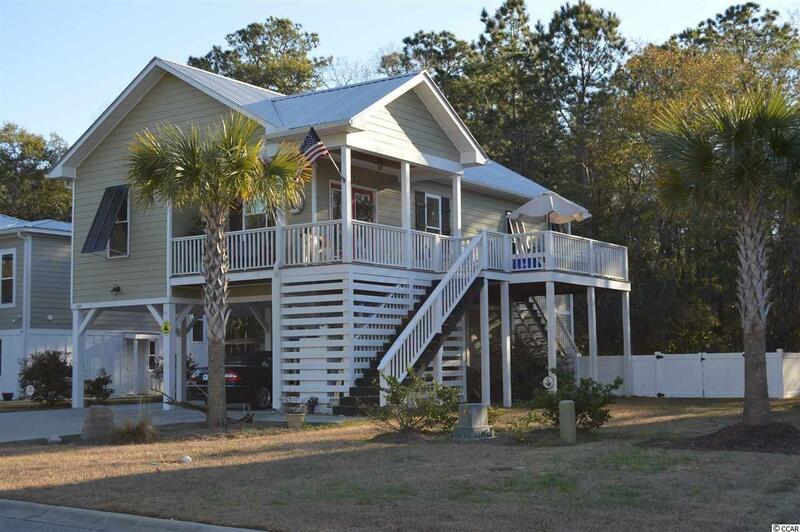 One of the first priorities many new home owners have when they are moving to Pawleys Island is to own their own raised beach house near the ocean. 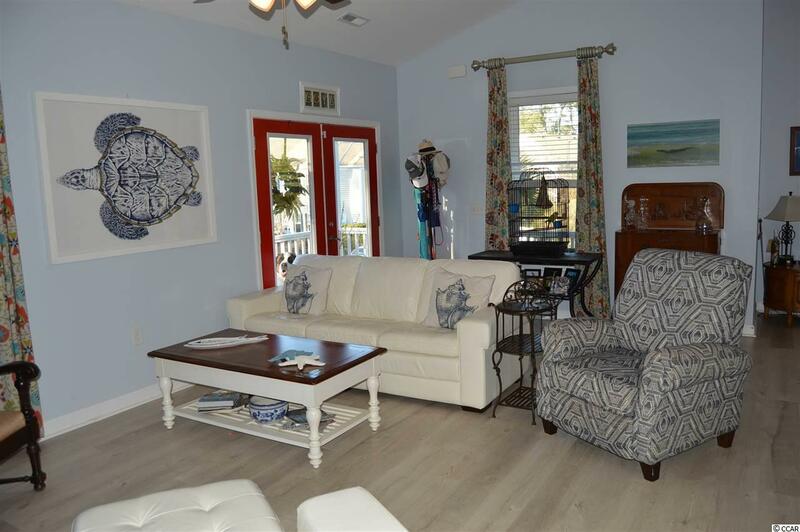 144 Crane Drive is the perfect 3 bedroom and 2.5 bath raised beach home, located east of Highway 17 and it is just a couple of minutes from the ocean. 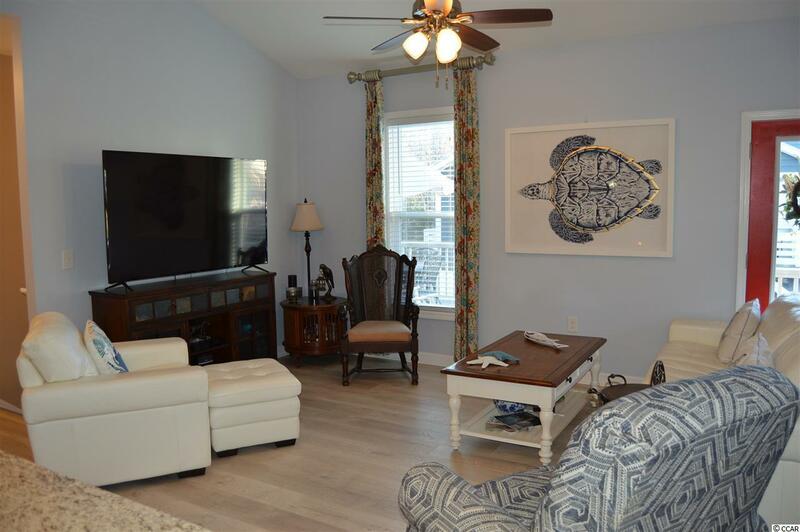 Pawleys Pointe location makes it convenient for you to go not only to the ocean, but also to the landing at Waccamaw River, incredible restaurants of all kinds, and challenging golf at courses like Caledonia, Heritage Plantation and True Blue. This Crane Drive home was built in 2014. 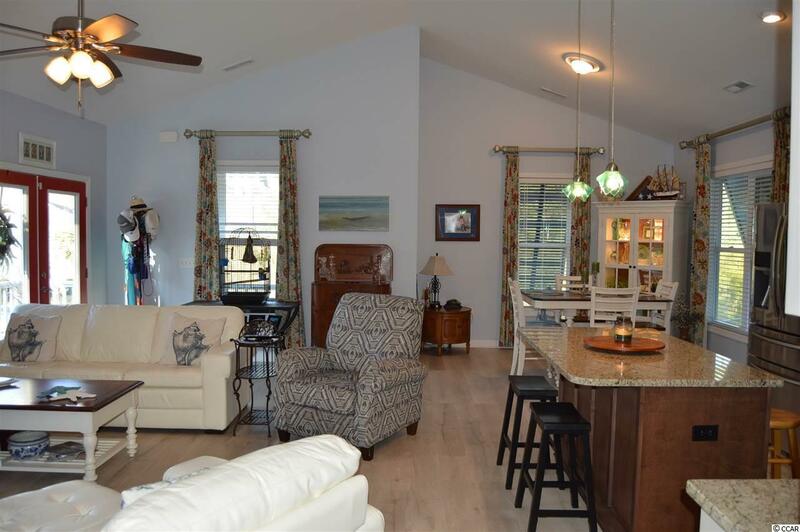 As you enter the front door, you are welcomed by a great room whose size is enhance by the tall cathedral ceilings. The kitchen and dining areas are both a part of this great room which allows it to become the perfect entertaining area. The great room also has direct access to a spacious balcony area that conveniently leads down by steps to the fenced in back yard. The master bedroom with its walk-in closet and master bath are also on this main living level. The half-bath is also conveniently located on this main level for your guests. Walking down the stair case to the first level there are two more bedrooms, a bath, and a laundry area. Outside there is under the house parking and a large storage area. Pawleys Pointe also features a community pool. Recently there have been upgrades to this home. They include painting through portions of the house and the installation of new durable Pergo hardwood flooring. For an appointment to see this home, please call the listing agent. Square footage is approximate and not guaranteed. Buyer is responsible for verification. Listing provided courtesy of Cb Chicora Advantage Mb. Listing information © 2019 Coastal Carolinas Association of REALTORS® MLS. Listing provided courtesy of Cb Chicora Advantage Mb.